This is the first study to examine language development in relation to acetaminophen levels in urine. The study will be published online January 10 at 3:28 am EST in European Psychiatry. Acetaminophen, also known as paracetamol, is the active ingredient in Tylenol and hundreds of over-the-counter and prescription medicines. 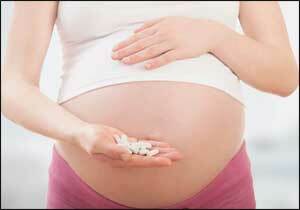 It is commonly prescribed during pregnancy to relieve pain and fever. An estimated 65 percent of pregnant women in the United States use the drug, according to the U.S. Centers for Disease Control and Prevention. Other researchers from Mount Sinai include Avraham Reichenberg, PhD, Professor of Psychiatry. Other institutions involved in this study include Karlstad University in Sweden, Institute of the Ruhr-University in Germany, and Lund University in Sweden. This study was supported by grants from the National Institute of Environmental Health Sciences, the Swedish Research Council Formas and from the County Council of Varmland.